Catherine Ousselin is a graduate of the University of Kansas with an M.A. in French Language and Literature. She is a member of ACTFL, IALLT, WAFLT, and the AATF of which she is the current Region IX representative. 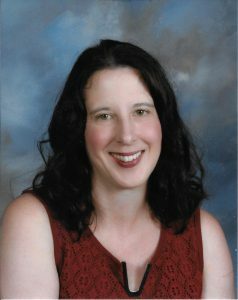 Catherine is the AATF Social Media Manager and Curator, the Chair of the Technology Commission, an avid blogger on World Language curriculum development and technology integration as well as a frequenter participant on #langchat and other Twitter Ed-chats. She teaches French at Mount Vernon High in Washington State where she serves as a Digital Literacy Coach for the school district. Catherine is the 2017 PNCFL Teacher of the Year and a finalist for ACTFL Teacher of the Year. Curriculum Design and Technology Workshops – Thinking about Syncing? I have been providing workshops on thoughtful technology integration and World Language curriculum design to educators since 2007. My experience includes NCCE, EdCamps, professional organization conferences, school district professional development and keynote addresses. Please contact me about designing a workshop that will meet the needs and interests of your group. Click here to explore my previous workshops and philosophy on technology usage. 1. iOS (Apple) devices and apps (applications) for World Language educators and learners. 3. Web tools and apps for Digital Storytelling, Language Development, and Audio / Video Production. 4. Social media for educators and learners: Instagram, Twitter, Blogs, Facebook, Pinterest, etc. 5. Collaborative tools through Google Drive (Docs, Forms, Blogger, etc.) and Wikis (Wikispaces, etc). 6. Web site development through Google Sites, Microsoft Expression Web, etc. 7. Digital Literacy and Citizenship for all levels and learners.